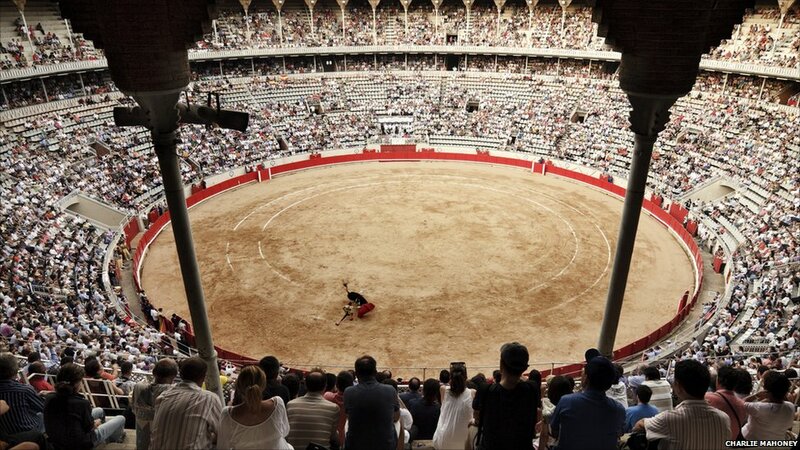 Catalonia's regional parliament has voted to outlaw bullfighting in the Spanish region - making it the first area on the mainland to initiate a ban. 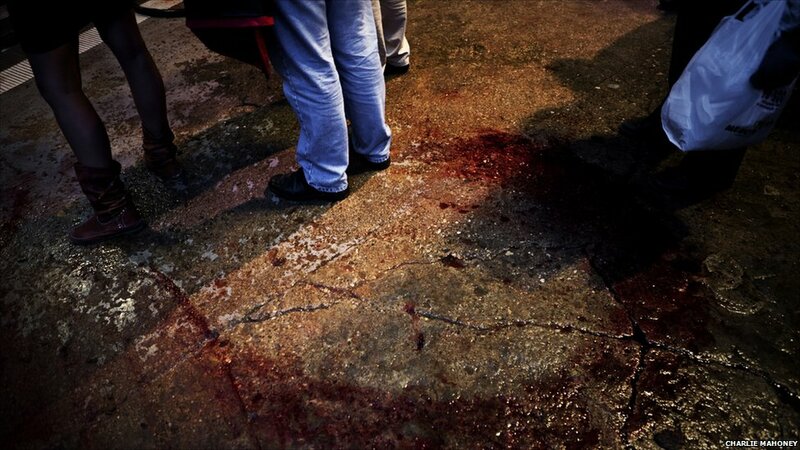 WARNING: Some readers might find some of the pictures disturbing. The decision comes after a campaign that collected more than 180,000 signatures supporting the proposal to include the bull in existing animal protection legislation. Barcelona was once home to three bullrings, now just one - the Plaza Monumental - remains. 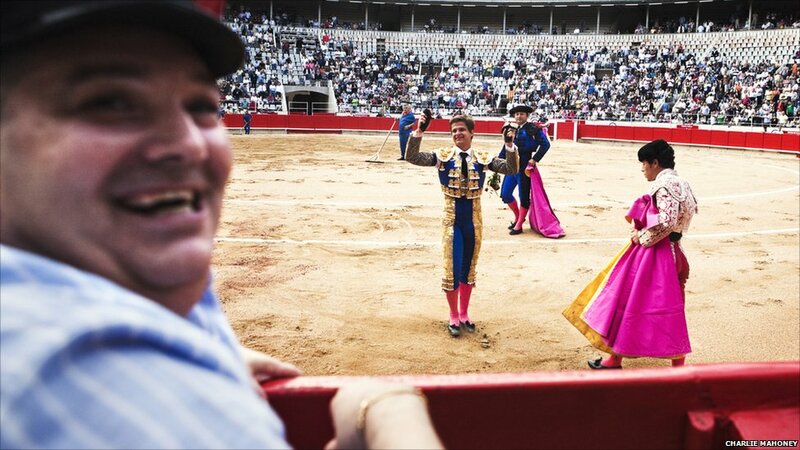 Inside the ring, matadors like Juan Serrano - known as "Finito de Cordoba" - entertain the crowds. 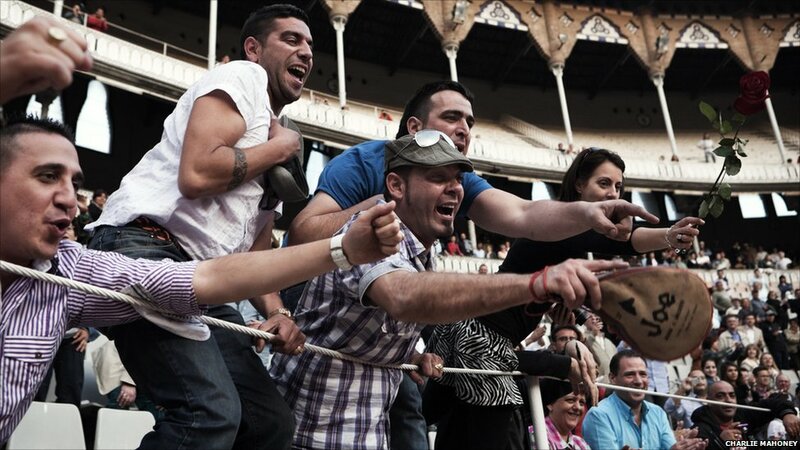 Supporters say the ritual of the bullfight, or corrida, is an art form that is vital to preserve. 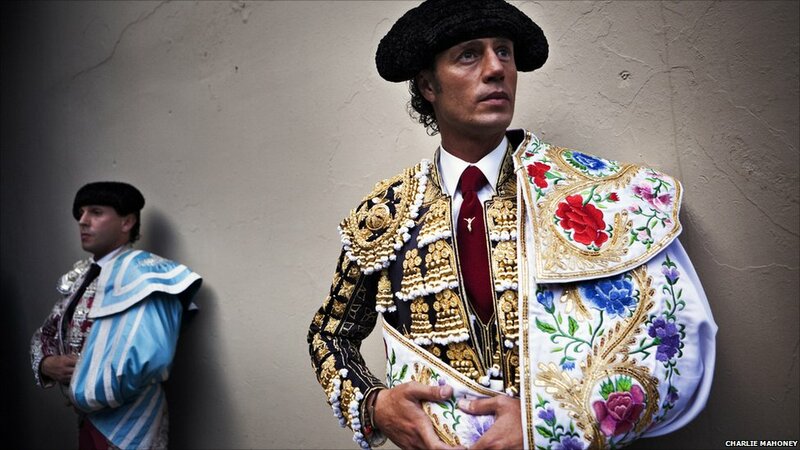 Bullfighter Jose Tomas told Spanish newspaper La Razon that banning bullfighting would be a terrible loss. "To think they can steal a part of all you admire, that is so important to your life, your profession, it's hard," he said. 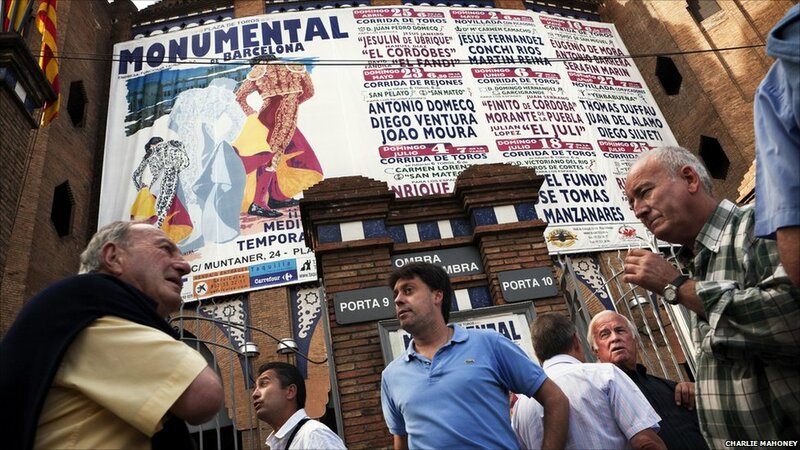 Opponents of bullfighting say that its appeal is declining in the region, and bouts are rarely sold out. 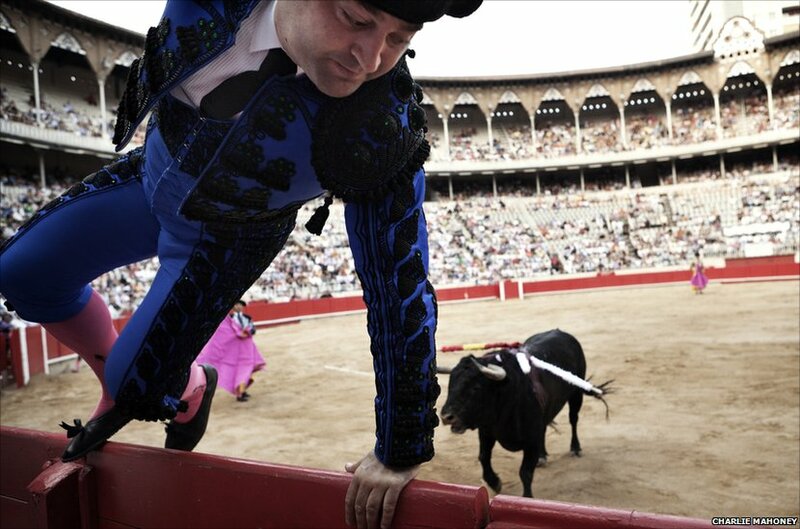 US writer Ernest Hemingway spoke of the morals of bullfighting in his book on the subject, Death in the Afternoon. "I know only that what is moral is what you feel good after and what is immoral is what you feel bad after," he wrote. 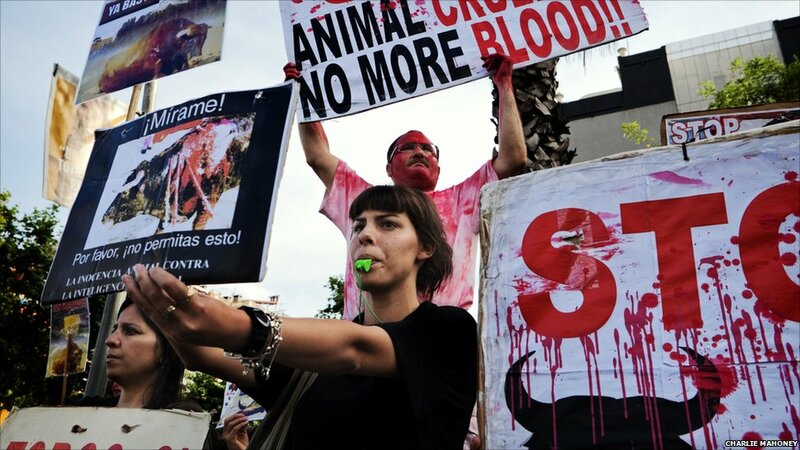 While the official debate is over animal rights, many believe this process is an attempt by nationalist-minded Catalans to mark their difference from the rest of Spain by rejecting one of its best-known traditions. 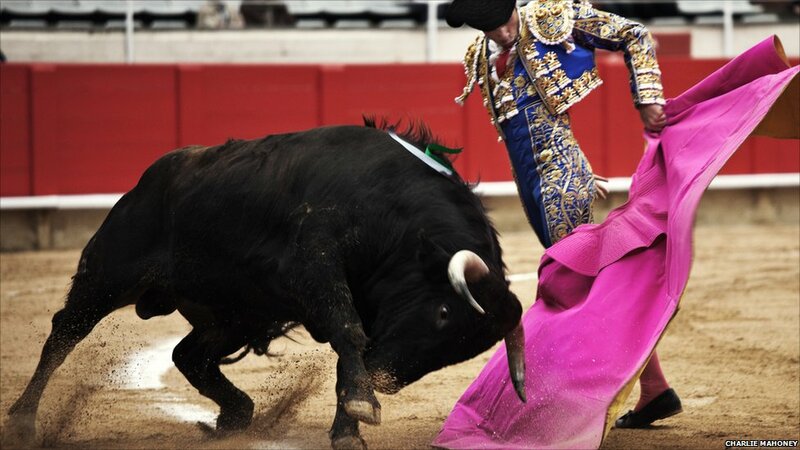 The final stage of the bullfight comes once the matador has demonstrated his superiority over the bull. At the end of a bout, a matador is awarded trophies according to his skill in working with the bull. 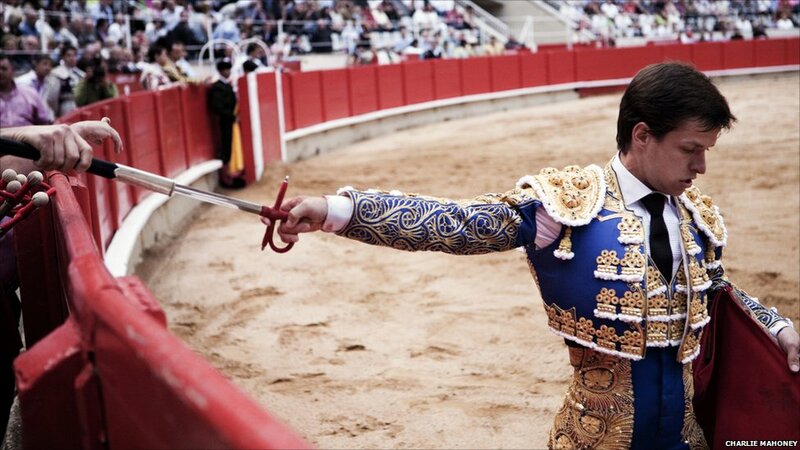 Here Julian Lopez "El Juli" receives two bull's ears in recognition of the quality of his performance. The vote was close as 68 backed a ban, 55 voted against and nine abstained. 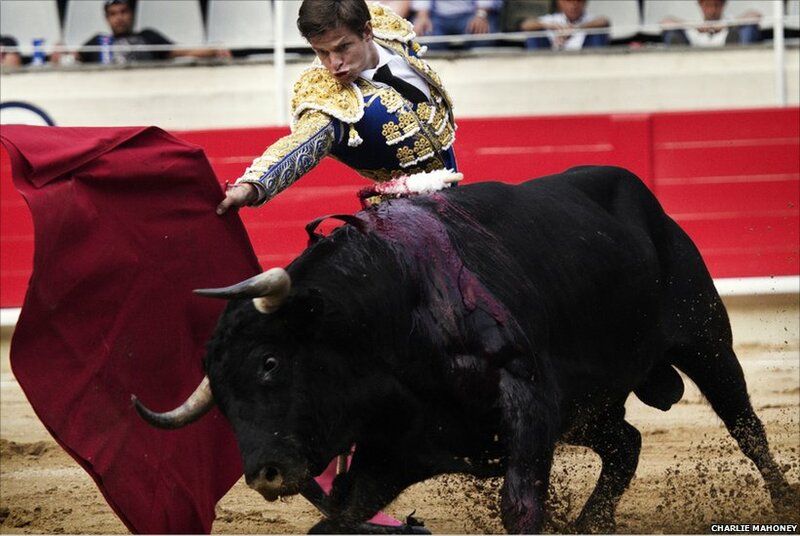 The move spells the end of bullfighting in Catalonia from 2012. Photographs by Charlie Mahoney.